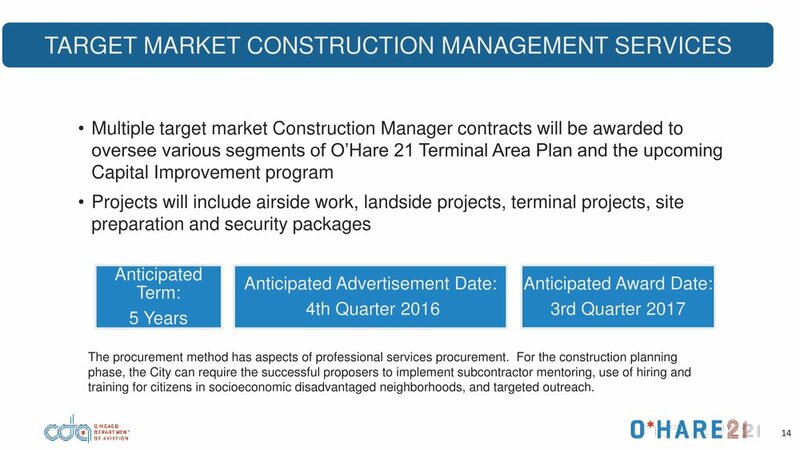 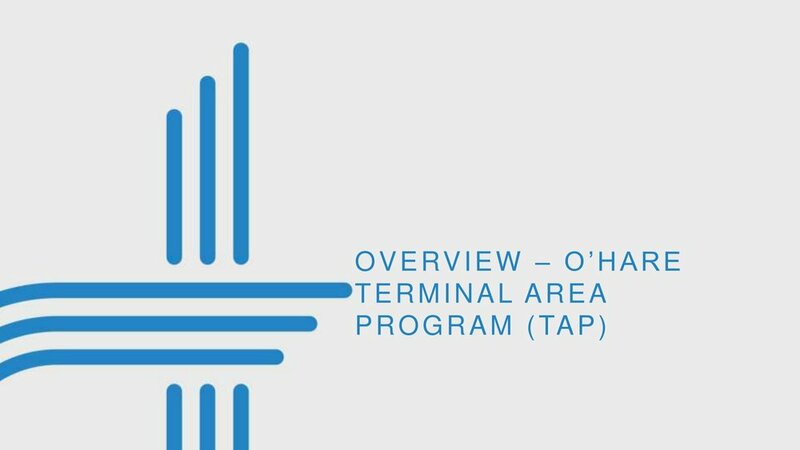 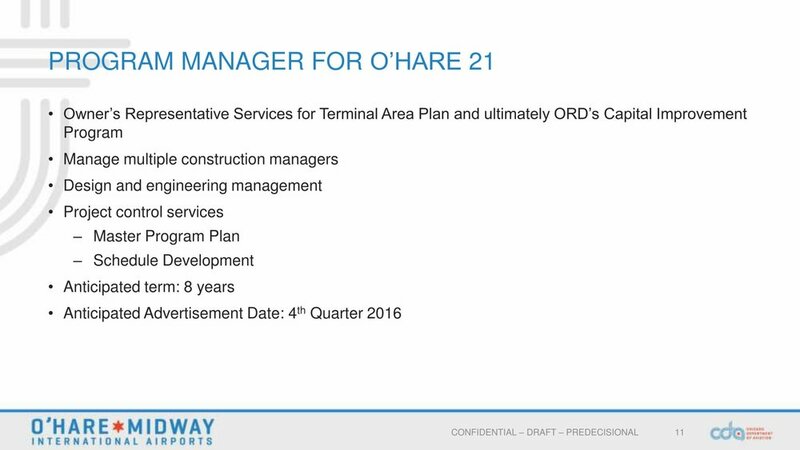 O'Hare 21 presented by Jonathan Leach, Chief Operating Officer for the Chicago Department of Aviation. 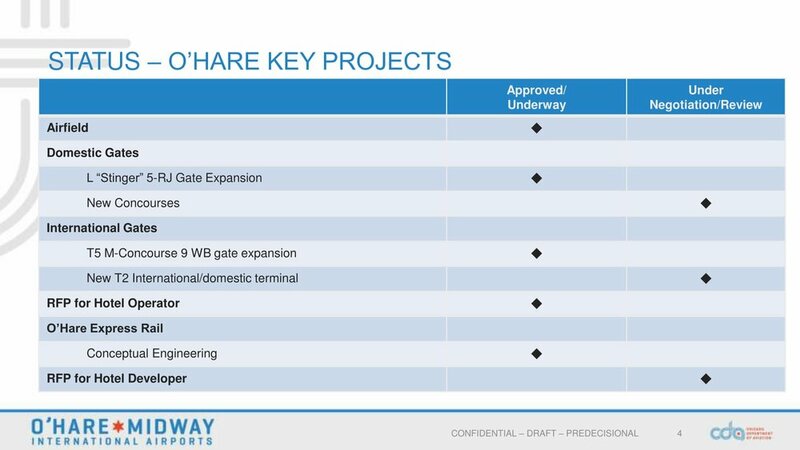 The Chicago Department of Aviation owns and manages both O'Hare and Midway International Airports. 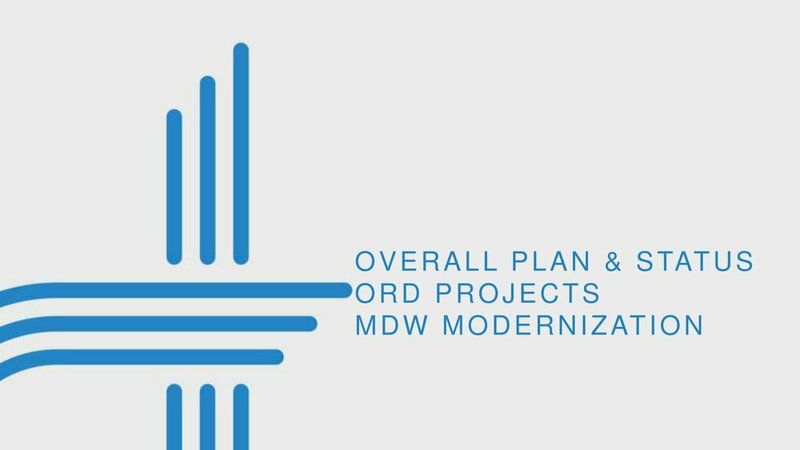 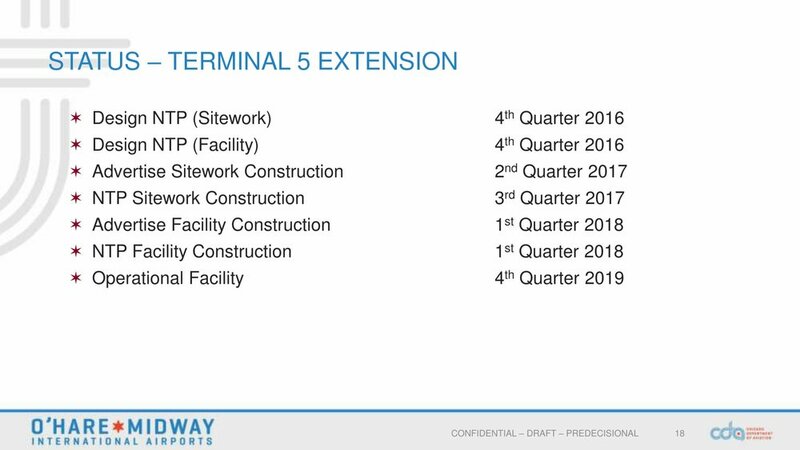 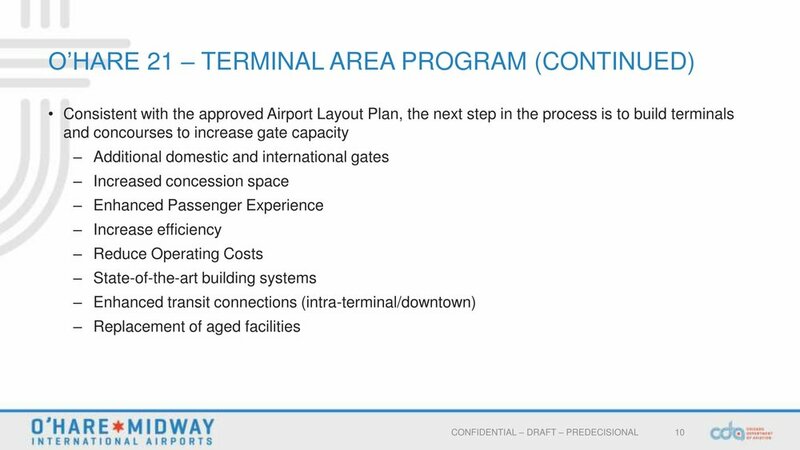 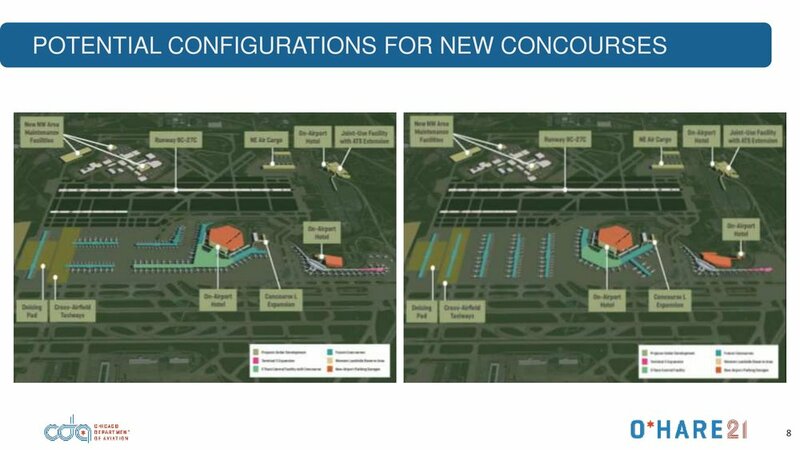 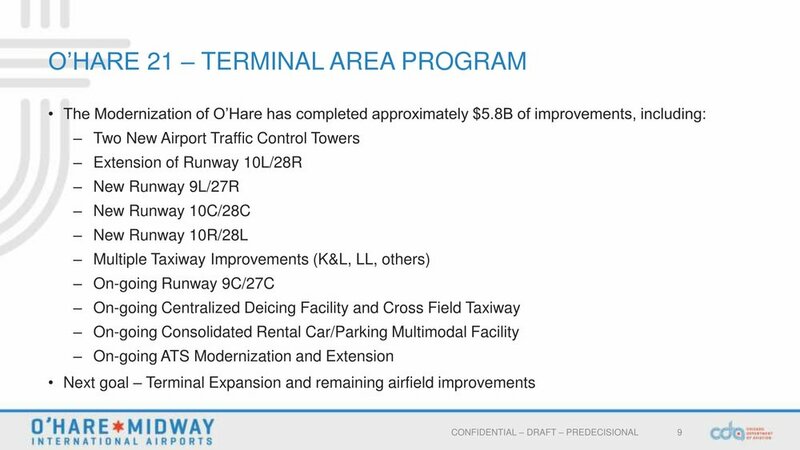 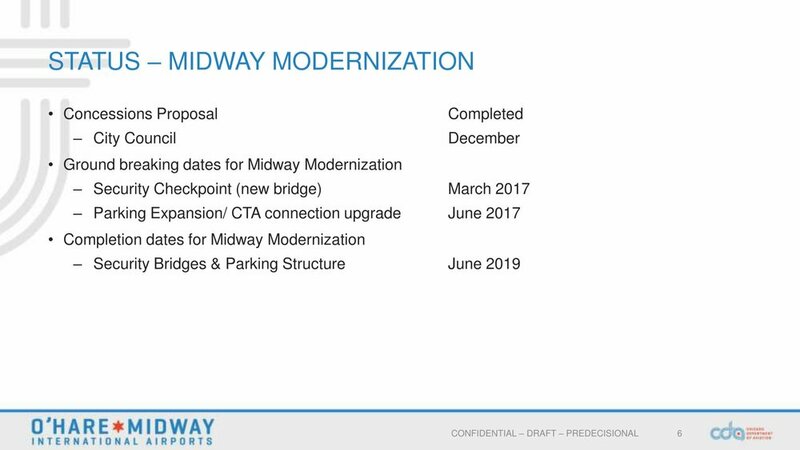 Annually O'Hare and Midway account for over 1.13 million operations as well as 99 million passengers combined with an annual operating budget of over $1 billion dollars. 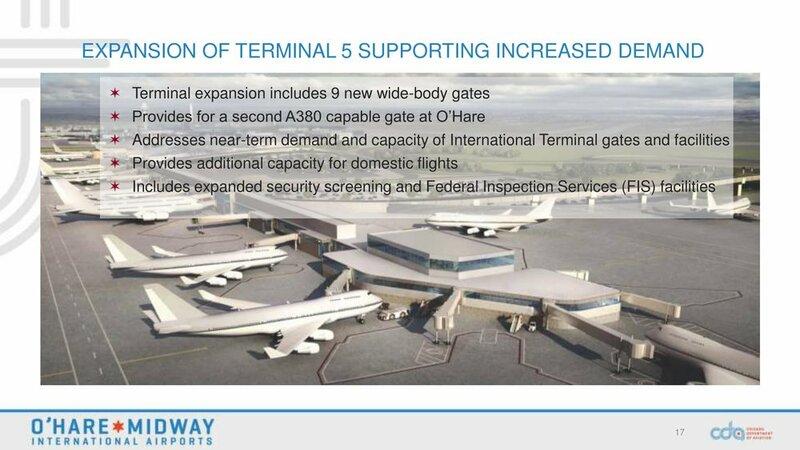 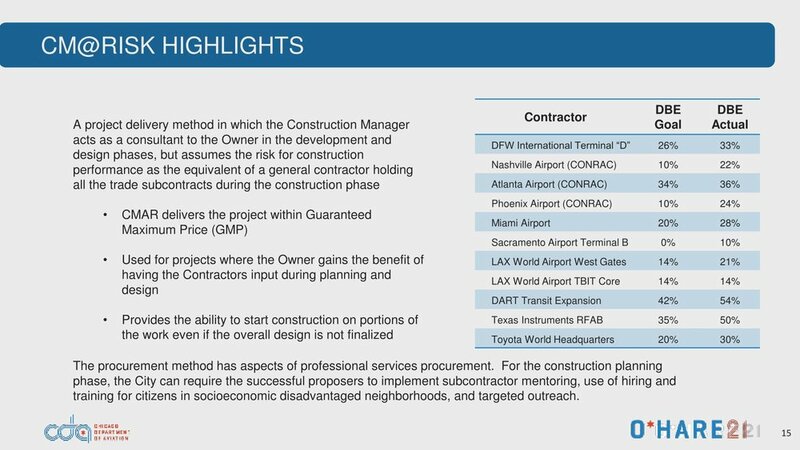 Mr. Leach's responsibilities include overseeing all planning, design and construction activities at O'Hare and Midway including O'Hare 21 and the Modernization Program; maintenance and operation of the terminals, parking and automated transit system; annual FAA inspection and certification.